Please share any Pictures or stories of Fox Head Brewing co. If you have any photos of Fox Head to share, had a family member who worked at Fox Head or have a story you would like to share, We would like to hear it. We are are compiling a record of all the people who worked at the brewery as well as an Image archive of the Brewery. We would like to pay tribute to all of those people who worked at the brewery and made it famous. From its inception to its decline and restoration, the history of the Fox Head Brewery stretches back over a hundred years. After years of rumor and speculation about a proposed Waukesha brewery, on April 24th 1893, residents of the town finally witnessed a ground breaking ceremony for an ambitious project. Not only would the site be home to a new brewery for alcoholic beverages, there was also to be a spring for the water and an extension to the railroad. Whether they liked the sound of the new developers or not, it was a group from Chicago that finally took ownership of the site. A group of saloon owners from the city invested in the company and founded it as a co-operative with 2000 shares worth $100 each. As the business grew into the 20th century and beyond, the brewery would change hands, and names, several times but it soon became an important part of Waukesha’s history. Brewers came for the Waukesha water, and they stayed for the business opportunities. 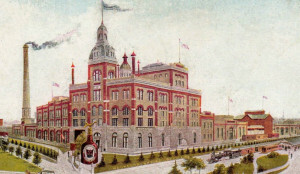 The brewery may have been a new enterprise, but Waukesha already had a reputation for the quality of its water. This spring water was full of minerals and perceived health-giving properties, hence the popularity of the area as a health resort. So it only made sense then to use this beneficial water as a unique selling point. The new spring meant that this water could not only be used to make the beer, but there were also plans for a plant to also make ice from it. 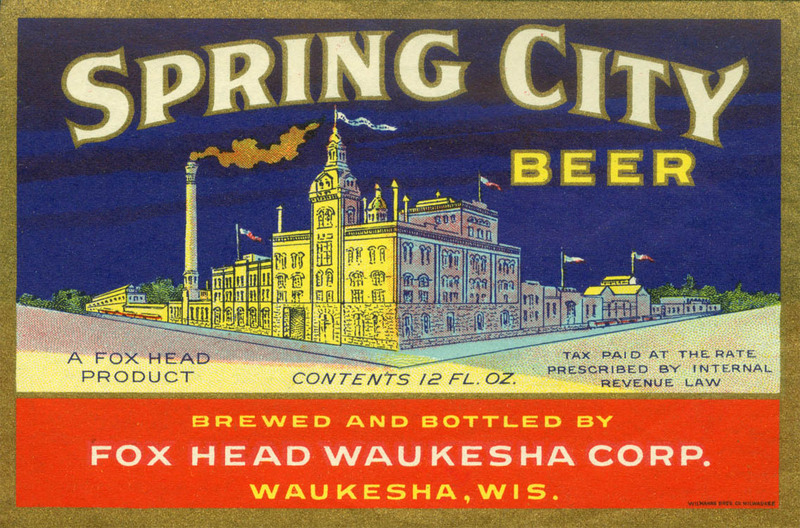 The Waukesha Spring Beverage Company was soon created, alongside what was then the Milwaukee Waukesha Brewing Company. It didn’t take long before they began promoting the medicinal qualities of their goods. One slogan read: “Promote Your Health and Happiness with Milwaukee Waukesha Pure, Delicious Health Beer”. 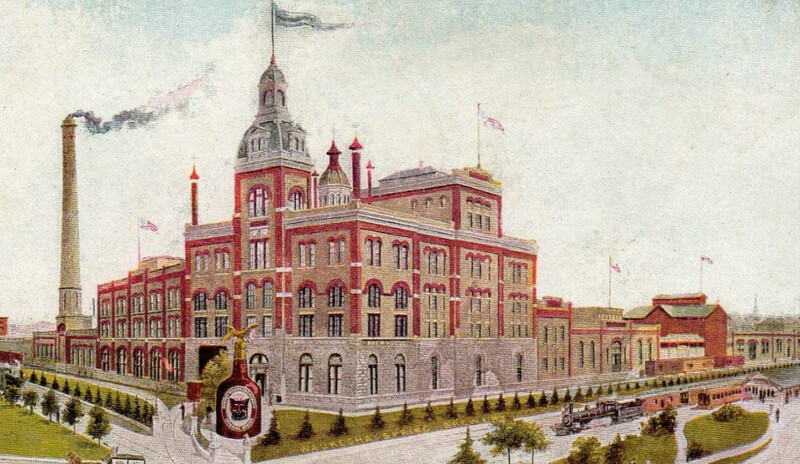 The only way was up as the 1900s rolled around and the brewery took on new projects and products with president Charles Manegold at the helm. In 1904, they did what all good beer manufacturers do and sponsored a baseball team in the Milwaukee Brewers League. Also that year, the World’s Fair came to St. Louis and the company had the honour of exhibiting a massive, 24ft high bottle depicting the spring house at the brewery. 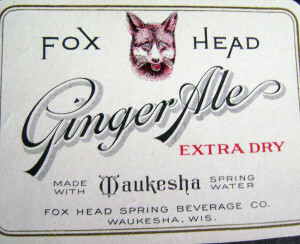 In 1908, the product line expanded further with a line of ginger ale that would become the company’s name – Fox Head. By 1928, the company’s progressive attitudes had gone even further. Until the 1920s, the management and development of the brewery had been a very male dominated affair. Charles Manegold continued in his capacity as president with the guidance of his son-in-law, August Lindemann. In 1928, Manegold died and the role of President was passed on to his successor. In a surprising move for the period, this was not August, but rather Emilie Lindemann. Emilie became a strong figurehead for Fox Head during some of the toughest periods it would have to face – notably Prohibition and World War II – and she succeeded in marking her mark until her retirement in 1943. During the war effort, production soared to 110,000 barrels a year and 15% of what went to the Armed Forces. One of the most popular images of Emilie Lindemann was taken outside the brewery during celebrations to mark the end of Prohibition. The law against the production and sale of alcohol could have spelled disaster for the company but once the law was repealed in 1933, they made sure to make up for lost business and once more put themselves firmly in the public eye. At the precise moment that production was legal again, crowds and reporters gathered outside in the Fox Head Brewery yard on Maple Avenue. An impressive 33,000 barrels were brewed that year and the company continued to grow throughout the 1930s. 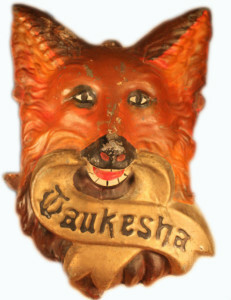 The trademark for Old Waukesha Ale was registered in 1934 and Fox Head 400, one of the most popular of all their products, was launched in 1936. The 1950s saw rumours of mob involvement that would plague the company until its demise. All involvement with notorious Chicago gangsters has been denied by many associated with Fox Head Brewery, such as brewmaster Oscar Flatt and president of the time Howard Hartman. There are however, still some lingering questions regarding their influence. The apparent interest of Sam Giancana in the brewery is intriguing enough, but it is the story of Tony Accardo that carries the most weight. Accardo was an associate of Capone and listed as a salesma n for a distributor in Chicago. It is said that after touring the Waukesha facility, Accardo encouraged former president Arthur Feicht to resign and give up 52,000 shares in the company. 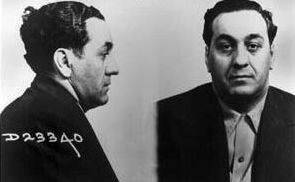 It is also rumoured that the mob promised to promote Fox Head in Chicago if Accardo was put on the payroll with a salary of $65,000 a year. The 1950s saw a lot of changes in the running of the company and its set-up, with the role of president of the board changing hands and new purchases and mergers taking place as new deals were made in Chicago. Initially, these changes and a shift in production to the Waukesha plant were profitable for the company. Production doubled to 220,000 barrels annually and expansions to the site took place in 1956 that would increase this to 300,000 barrels. 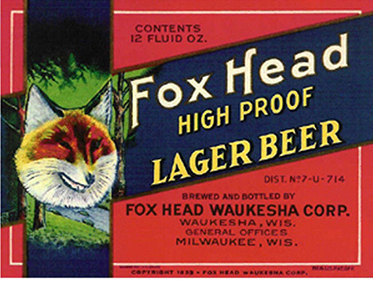 In 1958, Fox Head and Weber Brewery announced a merger and the board was forced to reshuffle once again as all operations transferred to Fox Head. The merger was not the most harmonious of business ventures and perhaps signalled the start of a poor trend that would lead to the end of the company. The decline and fall of the beloved Fox Head Brewery. Mob influence during the 1950s was always going to cast a shadow on the reputation of Fox Head Brewery but some ill-advised business ventures and poor management in the 1960s meant that the company was headed for ruin. While some workers who lost their jobs in the shut down of June 30th, 1962 will say that there was still a chance for the brand, others blamed a focus on poor quality beer in a competitive market and the decision to invest in the facility in Nicaragua the previous year that led to its demise. Later that year, Fox Head unveiled one of their worst product ideas, the non-alcoholic Fox Brew. When all of these negative factors combined, the writing was on the wall and Fox Head had to admit defeat. industry, because it was just a few very bad years for a company with a long history and strong following in Wisconsin. 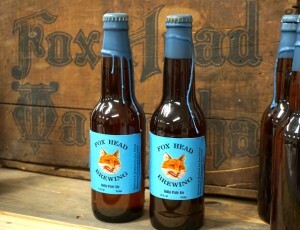 In 2007, Brandon Brooks started on a quest to bring Fox Head Beer back to life. 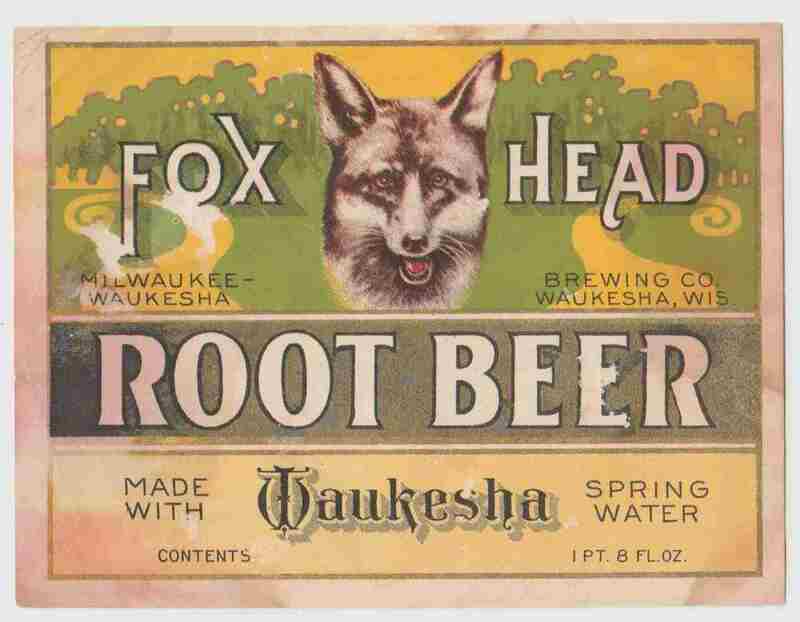 His curiosity in the old building led him to discover the extensive work of two of the most most knowledgeable historians on the subject of Waukesha and Fox Head Brewery – Dave Kapsos and John Schoenknecht. Their inspiring works had done so much to keep Fox Head alive that Brooks felt compelled to do even more to completely resurrect the company . No line touched him more than this from Schoenknecht: “perhaps one day the smiling fox will make another appearance. If he does there will be a lot of smiling people in Waukesha”. With this goal firmly in mind, he worked tirelessly to ensure that the locals could once again be proud of their brewing heritage and enjoy Fox Head Beer. On October 1st 2015, Brooks finally succeeded and the brewery was back open for business. It is hoped that many more chapters of the company’s history can now be created and new generations can enjoy its products.